A broadside collision, sometimes called a side collision or a T-bone crash, happens when one car hits the side of another car. These are particularly dangerous accidents, because often another car ends up being hit as well, resulting in a multi-car collision. While the people in both cars can be hurt, the risks of a serious injury are usually higher for the person whose car was hit. At the Rocky McElhaney Law Firm, we know first-hand what kind of serious repercussions you face after an accident. Our talented and experienced team of Tennessee car crash lawyers have successfully represented victims of T-bone collisions in and around Nashville, Knoxville and Hendersonville. If you have been hurt and need help, you can trust the personal injury attorneys of RML to fight hard on your behalf. Any car accident poses a danger, but broadside crashes are particularly dangerous to the person who has been hit for a number of reasons. First, either the driver or the passenger in your car is taking the full impact of the collision. The side of your car does not have a crumple zone (as the front and rear ends do), so there’s very little protection from the frame. Second, you risk serious bodily injury if your car does not have side airbags, including a broken spine, fractured bones, organ damage and internal bleeding. Lightweight cars are also more dangerous, as the integrity of the frame is not as strong. Third, the impact of the crash could send the glass into you or your passenger, putting you at risk of facial lacerations and vision loss. It could also properly you or the driver of the other car out through a window if you are not wearing your seatbelt. 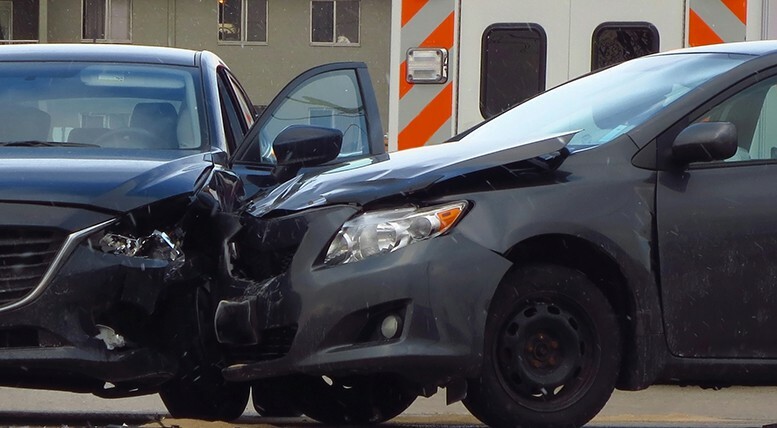 People involved in a T-bone crash can end up with life-altering injuries, including paralysis, or may be crushed by the impact in such a way that it becomes necessary to amputate a limb. When two (2) vehicles enter an intersection from different highways and drives at approximately the same time, the driver of the vehicle on the left shall yield the right-of-way to the vehicle on the right. Even drivers who have the right of way must proceed carefully. A distracted driver who crashes through an intersection as you were making a turn may be mostly at fault, but if you contribute to the accident you may also be held partially responsible. That is why you want the skilled team of the Rocky McElhaney Law Firm on your side if you have suffered harm in a car crash. We know what it takes to build a winning strategy against an insurance company that wants to blame the victim. Over the years, we have helped our clients throughout Tennessee collect millions of dollars for the medical expenses, lost wages, and their pain and suffering – and we want to help you do the same. It is okay to feel scared and frustrated after an accident; those feelings are natural. At the Rocky McElhaney Law Firm, we promise that the one thing you never have to feel is alone. Please call 888.619.4765 or fill out our contact form to schedule a free consultation with one of our experienced car accident lawyers. With offices in Nashville, Knoxville and Hendersonville, RML is always nearby when you need us most.